Coronado has become one of the premier vacation spots in Southern California. People come to our fair city to rest, relax and experience a small town atmosphere. I have heard people refer to Coronado as "Pleasantville" because it offers what has been lost in many small towns across America. Coronado Mainstreet has been nationally recognized as one of the few wonderful towns main street environments across the country to grow up and not lose its' soul. Most of the shops in Coronado are still locally owned and very few national franchises have been able to enter the market because of a forward thinking city council and local business community. There have been more than a few visitors to Coronado whom after visiting have decided to invest in the Coronado Real Estate market by buying a second home or altogether picking up and moving to Coronado and set down life-long roots. In addition, Coronado is home to a large number of retired naval officers who at one time or another during their career, were stationed at North Island, home to three naval aircraft carriers. If you have further questions about Coronado or looking to potentially invest in Coronado after visiting our wonderful town, please give us a call. 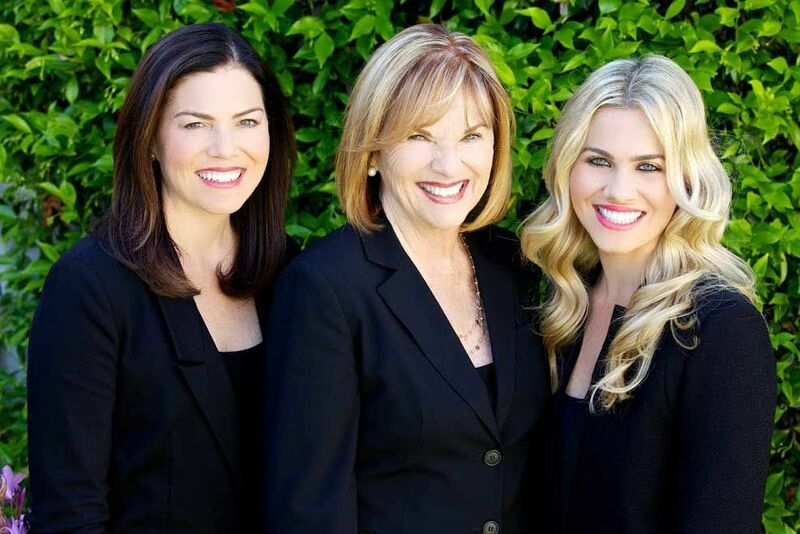 With over 25 years of experience selling real estate in Coronado, I can answer almost any question you might have. Besides the weather, there are many annual events and activities which make our town such a special place. Below I have highlighted some of these events Tthe following ideas are only a start to helping you experience all Coronado has to offer and to make your visit more enjoyable. Coronado has more than 80 cafes and restaurants, offering seafood, American fare, and ethnic cuisine. Many of these cafe's and restaurants offer outdoor dining so you can also enjoy Coronado’s enviable weather. For more detailed information, The Coronado Visitor Center also provides maps, brochures and the following discounted tickets for local attractions. They can also be reached at 619-437-8788. Annual Flower Show - A city-wide flower show bringing together green thumbs from all over San Diego County. The Flower show also judges all the homes in Coronado and awards homes for their gardens on a block by block basis. This is a very sought after award and homeowners and gardeners work very hard every spring to prepare for the judging of their gardens. Winners proudly showcase their ribbons in their windows. Fourth of July - Mainstreet parade, fireworks display and concert in the park. The Fourth of July celebration defines the expression "As American as Apple Pie". On that day the population of Coronado swells from 25,000 to upwards of 100,000 visitors. The parade features a full complement of navy equipment, band, person and even pearl harbor survivors. If anyone ever wanted to see patriotism in action or wanted to know what it means to be an American, spending a day in Coronado for the fourth of July celebration will pull at your heart strings and re-fill your pride in America and appreciating how fortunate we are to be Americans. Chrysler Classic Speed Festival - Held at the North Island Naval Base, The speed festival is a full weekend of racing classic cars and showcasing the history of cars. It is a wonderful opportunity for family and car connoisseurs alike. Mainstreet Halloween - Trick or treating provided by the main street business community. This event has begun to rival our fourth of July event with people coming from all over San Diego and Mexico to trick or treat with their families in a safe environment. One street, in particular, has a reputation and during the evening, some houses have reported having over 1500 trick or treaters visit their homes. Christmas Parade and the lighting of the town Christmas tree. During the Christmas season, Coronado roles out the red carpet for Santa Claus providing the children with a mountain full of snow to build a snowman or just a short sled ride down the mountain. Santa is then treated to a ride down the main street in the local fire truck to turn on the city's Christmas tree lights which then shine throughout the Christmas season. There is such a season of giving during this time, that even the city has been known to offer free parking at the town meters during the Christmas season. Coronado City Beach was named one of Southern California's best beaches in 2002 by the Travel Channel. Swim or surf at Coronado City Beach or Silver Strand State Beach. Dog Beach in Coronado is one of the few beaches where a man's best friend can enjoy the outdoors too. Coronado Theatre - Take in a show. Coronado has its own community theater group which performs at the Coronado Playhouse on Strand Way. Lamb's Players Theater also most of the year offering 8 new productions a year and a special Christmas show at the Hotel Del Coronado in December. Coronado History - Learn about Coronado's interesting past at the Museum of History and Art with its three permanent galleries dedicated to Coronado's unique history and one special exhibit gallery which changes quarterly. Scenic Tours - Ride, rollerblade or walk or miles of bike paths which hug the coastline and provide a great way to exercise and see some of Coronado's spectacular scenery. Art-in-the-Park turns Spreckels Park into an outdoor gallery on the first and third Sunday of each month. Concert in the Park This music series runs from Memorial Day to Labor Day and has become a required family event during the summer allowing parents and children to play, picnic and listen to a wonderful variety of music from Classical to Swing to Rock n' Roll. Coronado was named for the Coronado Islands off the coast of San Diego. They were first sighted on November 8, 1602, by a Spanish navigator Vizcaino and he named them "Los Coronados" for four martyred saints of ancient Rome whose deaths had been recorded as happening on the same day. Coronado remained a unpopulated peninsula until purchased in 1885 by Elisha S. Babcock, Jr., and Hampton L. Storey. They believed it would be an ideal setting for a resort hotel. With the railroad scheduled to reach San Diego in the 1880's, they believed well-heeled easterners looking for a dryer climate would flock to the new hotel. The Hotel del Coronado opened in 1888 and shortly afterward was sold to John D. Spreckels. The hotel is now a designated National Historical Landmark. In 1891, Benjamin Harrison was the first of 13 presidents to visit Coronado, joining the long list of celebrities whom have visited in the past and this list continues to grow today. As recently as 2005 President George W. Bush visited the hotel to deliver a speech at North Island to our military troops. The hotel remains Coronado's most identifiable landmark today. Another important part of Coronado's history, both past, and present is aviation and the military. In 1911, Glenn Curtis opened an aviation camp. Today, that aviation camp is called the Navy Air Station, North Island. Then during World War I, the Spreckels family sold it to the Navy. Today, North Island homeports three aircraft carriers, making the military the top employer in the Coronado. More recent history includes the opening of the Coronado Bay Bridge in 1969. This was also the day Coronado got its first traffic light. In 1971 the first of the ten Coronado Shore Towers was completed. These 15-story condominium towers changed the skyline of Coronado. History is still a part of everyday life in Coronado with more than 85 historical sites designated in the City.